This is a 45-hour, self-paced, online fire course with continuous enrollment. It forms part of the mandatory coursework for Florida Fire Officer 1, Florida Fire Inspector 1, and Florida Fire Investigator 1 Certifications. Completion of this course ensures that you are able to meet the Job Performance Requirements required by NFPA 1021 and NFPA 1031. The course is designed to familiarize students with the features that are found in various types of construction as well as the hazards they present in fire conditions. Students will become familiarized with construction standards and policies and how these standards and policies can affect a building’s behavior in a fire event. This is a 45-hour blended approach, self-paced, online fire course with continuous enrollment and an eight-hour in-person classroom component. It is part of the required course work for Florida Fire Inspector 1. Completion of this course ensures that you meet the Job Performance Requirements associated with NFPA 1031. The course is designed to familiarize students with the Florida Fire Prevention Code and NFPA 1 (Fire Prevention Code), the five basic units of NFPA 101, FSS 633, and FAC 69A. Students can also earn 45 CEU’s for Instructor and Inspector renewal certifications. The course will teach you how to research codes and effectively apply them when carrying out inspections. You’ll be familiarized with the fire prevention codes used by fire departments across the country. Additionally, you will learn about the effects, and results, of using these codes when it comes to prevention and containment of fires and other aspects of life safety. The course also studies various building construction standards and codes used in identifying and preventing design inadequacies that can lead to fire, heat and smoke spread in old and new structures. You are shown effective ways of developing and implementing effectual fire prevention programs in the community, for industries, and in institutions. This is a blended approach, self-paced, online fire course with continuous enrollment and an eight-hour in-person classroom component. It forms part of the required course work for Fire Officer 1 and Fire Inspector 1 and complies with NFPA 1031. Students can also earn 40 CEU’s towards Florida Fire Inspector I certificate renewal. 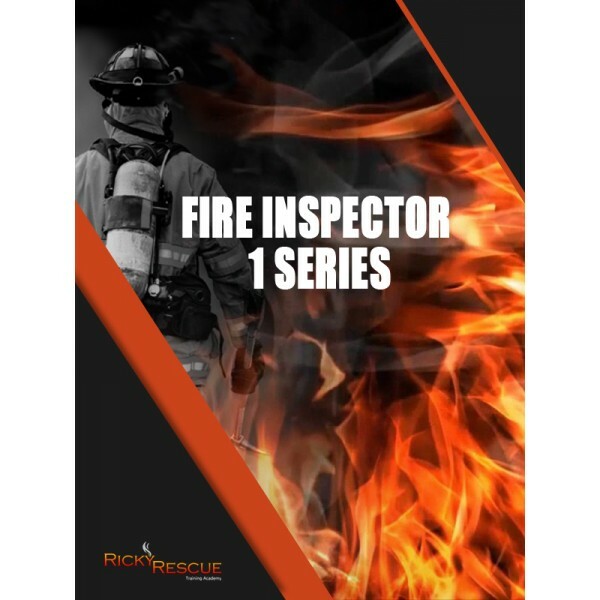 You will be taught how to understand construction workings, drawings, and specifications as they pertain to the fire service and fire inspections. Interpretation of conventional illustrative communications, as well as an overview of the construction industry, accepted standards and conventions are included. You’ll also become familiar with the range of symbols, abbreviations, technical projection principles, and geometry the building and construction industry uses. You’ll be required to demonstrate your understanding and comprehension of this information by finding and interpreting information contained in genuine drawings and plans. This is a self-paced, online fire course with continuous open enrollment. It is also one of seven units needed for Florida Fire Officer 2 certification and complies with NFPA 1021 and NFPA 1031. Students can earn 40 hours (CEU’s) towards Florida Fire Safety Inspector I certification. The course is designed to familiarize you with procedures for an effective fire inspection. 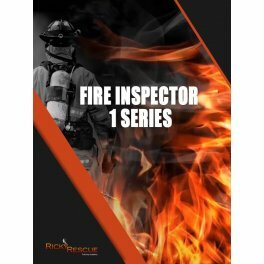 Topics covered include the definition, reason, purpose of fire inspections, effective inspection techniques, conducting effective inspections, Fire Prevention Bureau activities, hazards, fire causes and construction types as they relate to the fire services. This is a self-paced online fire course with open continuous enrollment and complies with NFPA 1021 and NFPA 1031. Students will earn 40 CEU’s towards Florida Firesafety Inspector certificate renewal. The course will teach you about the different types of Private Fire Protection and Detection Systems that are commonly used in the US, such as sprinkler and standpipe systems, chemical extinguishing systems, and detection systems and devices. The course also covers the need for, composition and construction, preventive maintenance and typical uses of each type of system.